Ok, I’ll admit, when I first saw this, I thought it looked a little wonky. But then I remembered what I do when it’s raining and I have to ride to work. I put on a rain jacket, rain pants and shoe covers. With 3 separate clothing items overlapping to keep the rain out, inevitably, rain and dirt gets to your clothing beneath. 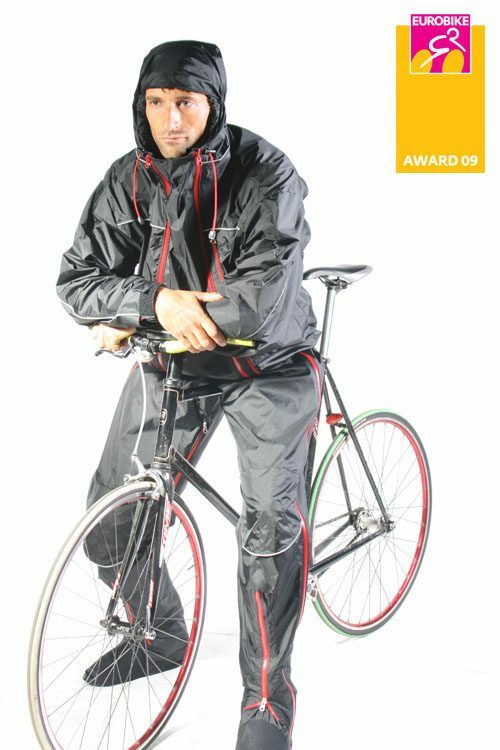 The Bikesuit by WIT Industries addresses this problem with a simple solution; make a one-piece rain suit. Hell, this looks legit. Just remember, it’s a rain suit people! More information will be found at Bikesuit.eu shortly, so keep watch! Oh yeah, it won a Eurobike award!